Oldé London was the first course to be built in Lake Havasu City. 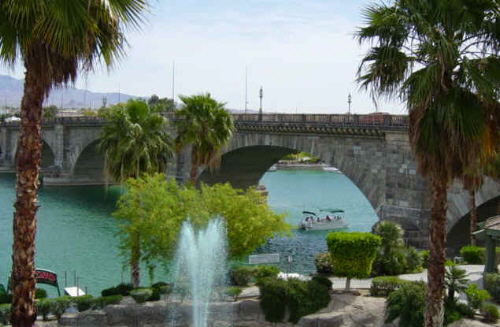 Robert P. McCulloch Sr., the founder of Lake Havasu City, realized the value of a golf co urse and built it, along with purchasing and moving the London Bridge, as an attraction to draw prospective land buyers to the newly developing city. Construction on the course started in 1965 with the front nine opening in 1967 and the back nine 1969. 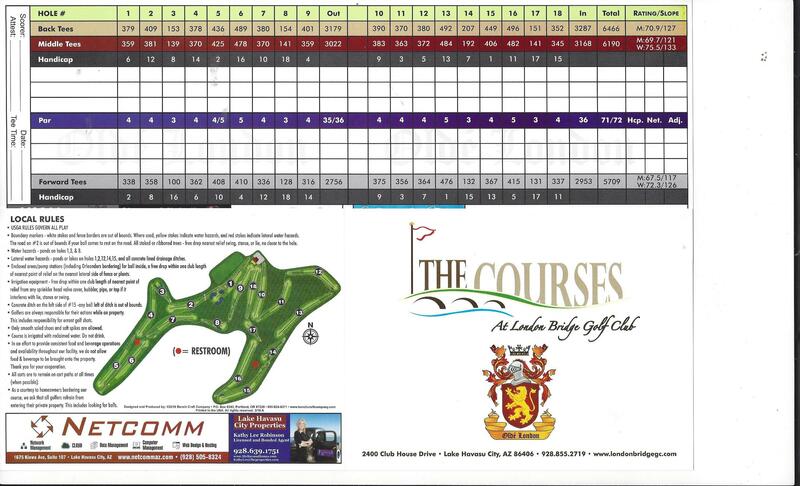 Oldé London has a traditional layout with numerous water hazards and sand bunkers throughout the entire course. It stretches out to 6466 yards and has Bermuda grass on fairways and greens which are over seeded with rye grass during the winter months. 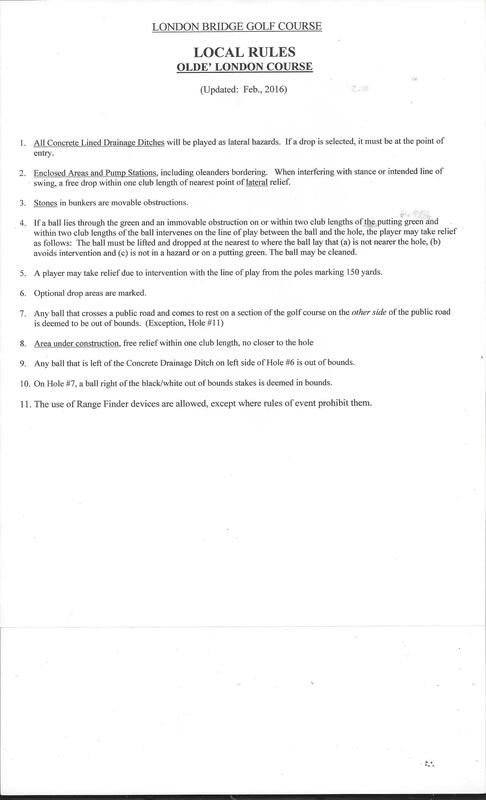 At a par of 71, this course will challenge the best of golfers.